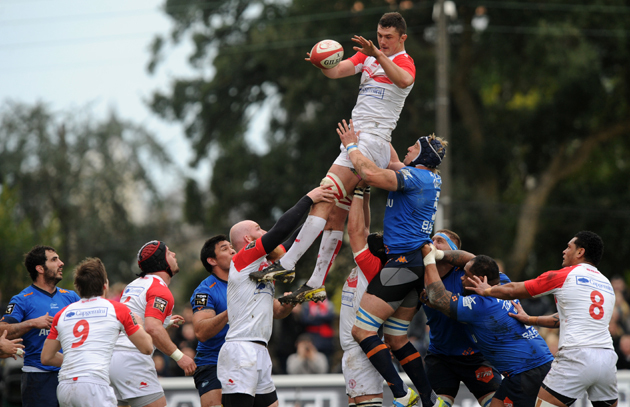 Should Basque clubs Bayonne and Biarritz join forces? None of the 17,000 spectators present at Bayonne’s Stade Jean-Dauger will forget in a hurry the events of Saturday 23 May. The Basque club’s fate was out of their hands on the final day of the regular Top 14 season; all they could do was win with an offensive bonus point, which they did by hammering La Rochelle 45-12, and pray that either Brive or Grenoble slipped up. Brive didn’t. By early in the second half of their clash with Stade Francais it was clear to the Bayonne fans, following events from Brive on their smartphones, that the Parisians were not going to do them a favour. So attention turned to Lyon, who were hosting Grenoble. The visitors required just a point to avoid the drop but they leaked two early tries. Grenoble then fought back to take an 18-17 lead at half-time, but in an excruciatingly tense second half the lead changed hand four times before a penalty and drop-goal from Lachie Munro took Lyon 29-24 clear with six minutes remaining. Another score from Lyon and Grenoble would lose their defensive bonus point but the visitors clung on and so Bayonne’s 11-year stay in the Top 14 came to an end. Coming 12 months after Biarritz were relegated to ProD2, these are dark days for Basque rugby. Since rugby went professional 20 years ago there has always been at least one club from the region in France’s top flight; to have none is a huge shock to the Basque people, so proud of their traditions and culture. It’s this pride that has prevented in recent years any plans for a merger between Bayonne and Biarritz. The idea of a fusion was first mooted seriously in 2011, but came to nothing despite the warnings of Claude Charbonnier, the former president of the Basque Academy of Sport. In an interview with a local newspaper in November 2011, he supported the idea for financial reasons, saying prophetically: “There is no guarantee of the perennial support of (Alain) Afflelou and (Serge) Kampf”. Afflelou, the millionaire eyewear manufacturer, was Bayonne’s major financier from 2007 until 2014 when he stepped down as president, at the same time reducing his financial commitment to the club from €4m to €1m. Manu Mérin, the man who succeeded Afflelou as president (and who is a firm believer in the need for the creation of a Basque ‘super club’) admitted earlier in the month that Bayonne are “penniless”, and that they required a letter of guarantee from Afflelou recently to placate DNACG, the authority that polices the finances of France’s professional clubs. Biarritz are in an even worse economic plight. Midi Olympique reported a fortnight ago that the club has a financial hole of €2.5m, which their chief financial backer, Kampf, was allegedly willing to pay off “only in the event of a rapprochement between the two clubs”. 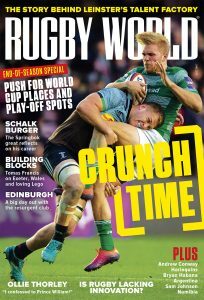 The head then, as well as the wallet, suggests that creating a super club between the two Basque sides is the only way to resuscitate rugby in the region even if it means sacrificing more than a century of tradition. In this day and age, it’s just not feasible for two towns a stone’s throw apart to sustain two professional rugby clubs, particularly when Pau and Agen have been promoted to the Top 14 this season. Pau is just 70 miles east of Bayonne, Agen 140 miles north-east, so businesses in the region looking to invest in a rugby club are likely to choose them over a couple of struggling ProD2 clubs. Unfortunately the heart often doesn’t follow the head when it comes to sport, and when plans to fuse the two Basque clubs into one super club were resurrected at the start of this month there was vociferous opposition from some supporters. Several hundred Bayonne fans gathered to demonstrate outside the club and Merin, confronted with threats against him and his family, announced the abandonment of the plans in an emotional press conference last week.